Tinsel wrapped events to get you positively joyous for the Christmas season. With Christmas just around the corner, we’re counting down the zzz’s to the night that makes us all feel like kids again. 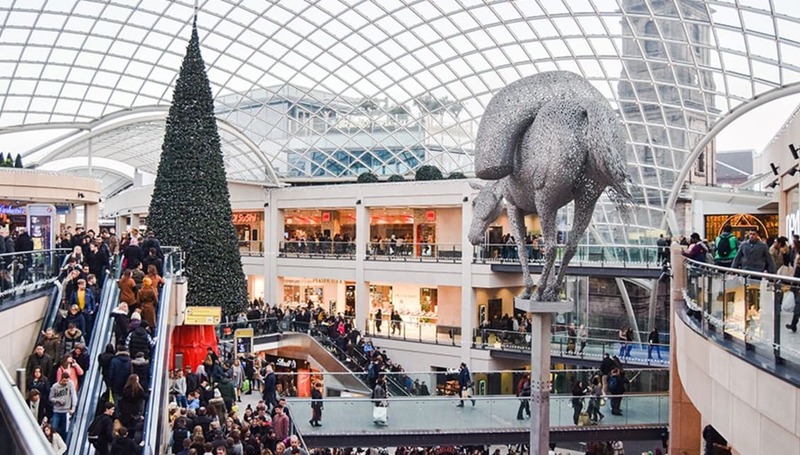 To ensure you don’t miss out on the festivities, we’ve lined up the best Christmas events in the North to get you positively merry for the holiday season. Just a short stroll from the below festive attractions and Nottingham Rail Station, Roomzzz at 1Talbot Street is the perfect place to enjoy an overnight Christmas break. Here are our top Christmas picks so you can indulge in all the festive cheer Nottingham has to offer. Nottingham welcomes the festive season with its annual light turn on, alongside the opening night of Winter Wonderland. From beautifully lit Christmas trees to cabins selling all the festive delicacies that we all too guiltily like to overindulge in, this year’s winter wonderland is not to be missed. With this year’s event featuring the biggest ice rink, it’s time to get your skates on. With even more choice of gifts to spoil your loved ones this season, there is no excuse not to find the perfect gift this Christmas. Leeds Christmas Market, Christkindelmarkt, the UK’s finest European Christmas market is perfectly situated just a 10 minute stroll from Roomzzz at 10 Swinegate. So you can burn off all those mouth watering bratwurst sausages and get a good night’s rest after one or two German beers. Bringing some German inspired Christmas tradition to the UK this winter is Leeds Christkindelmarkt. To ensure a continental introduction to your festive season, the Leeds Christmas Market, featuring authentic wooden stalls covered in festive decor, is not to be missed. Adding a new meaning to a twinkling Christmas, don your best glad rags to enjoy the beautiful story of David Nixon’s, The Nutcracker, performed by the Northern Ballet Sinfonia. There is no excuse not to enjoy Chester’s festive haven with the nearest Roomzzz situated at Norroy House, Nuns Road only a tiny 5 minute walk away. Chester Train Station is also in the heart of it if you’re travelling by public transport. Filled with festive cheer and sparkly lights, Chester Christmas Market, with over 70 stalls will enlighten your Christmas season, getting you in the festive spirit for Christmas day. Why not enjoy a mini Christmas getaway ‘In the Toon’ where a stay at Roomzzz Clavering Pl, Newcastle upon Tyne will put you only a stone’s throw away from those savoury and sweet delicacies from our favourite European cities. French waffles anyone? What better way to browse the stalls offering everything from delicious homemade jams to fashion accessories than with a warming glass of mulled wine or bottle of Newcastle’s finest local beers. Missing the festivities of Manchester isn’t an option when you have the Roomzzz Aparthotel Manchester City situated at 36 Princess Street right in the heart of Manchester, and conveniently close to Manchester’s Christmas Market. Manchester’s award winning Christmas Market returns this winter on the 14th November, offering the finest festive goodies of the grandest scale. With over 300 stalls across 10 sites, pure Christmas indulgent is guaranteed. Whether you’re after a romantic night on the ice whilst impressing your other half, or just some fun frolics with your friends, don’t miss hitting the ice this winter at Manchester’s largest outdoor rink. With everything from DJ’s to themed ice sessions, you’re sure to pull a few moves, but hopefully not muscles, this winter! Book your festive break through our booking form now!